Picking product is one of the most expensive and labor intensive aspects of fulfilling an order. Creating a streamlined and efficient process will help reduce those costs and increase employee productivity. 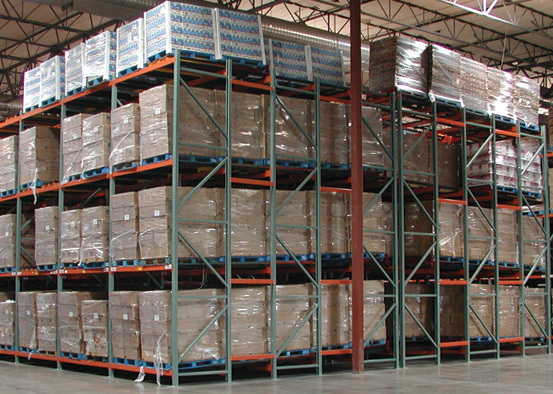 One option that should be considered is carton flow racks. These systems can dramatically improve the picking process. 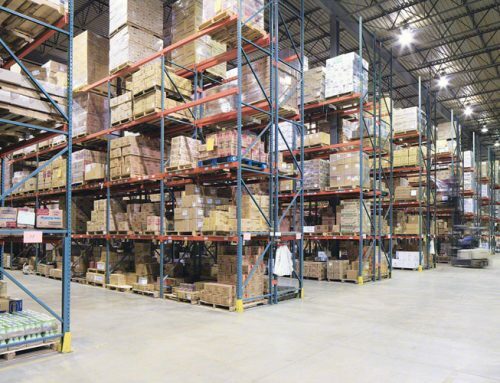 Carton flow racks keep products close at hand for easy picking and less travel time, increasing efficiency and reducing costs. These systems are optimal for a first-in-first-out (FIFO) inventory system. For the right product, carton flow can be more cost-effective, more efficient, and reduce wasted space when compared to static racking systems over the long term. 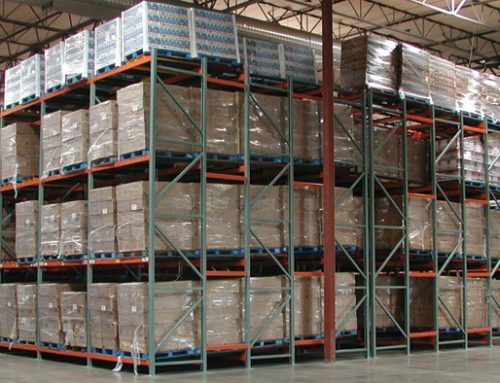 If you have tall racking, you can utilize carton flow on the bottom levels and static, selective pallet rack on the higher levels. A carton flow rack system is setup so that the horizontal beams on the loading side are set higher than the horizontal beams on the picking side. A set of rollers or wheels are placed on these beams at a downward angle. When an item is loaded, it travels down the rollers, and comes to rest at the picking side. It offers a dynamic storage solution for individual items, cartons, and cases. 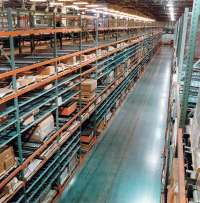 They have separate aisles for loading and picking to reduce congestion and allow picking and replenishing to occur simultaneously. Each roller aisle in these systems will have their own SKU assigned. The reserve stock will automatically roll down and replenish a picked item, limiting the need to dig out a product. Flow rails or wheel beds will fit into most standard racking systems and mounting brackets can ensure a perfect fit. Lane dividers and guides can be used for easy re-configuration and customization. Carton flow is a similar concept to pallet flow, just on a different scale. If you like the benefits of this system, but would like to use it on the pallets instead of individual items, check out more information on our pallet flow rack. How can Carton Flow help with Warehouse Slotting? Slotting, in warehouse terms, refers to placing an SKU in the optimal pick location in a warehouse. This is a process that could change from season to season and year to year. The labor time involved in picking products can be dramatically reduced with a good slotting process, saving time, money, and increasing efficiency. 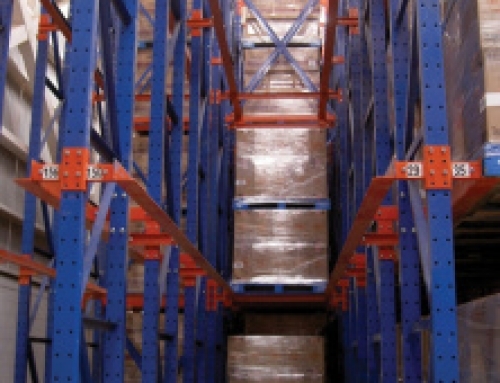 In addition to selecting the right location for each SKU, the ideal racking system for each SKU needs to be considered. 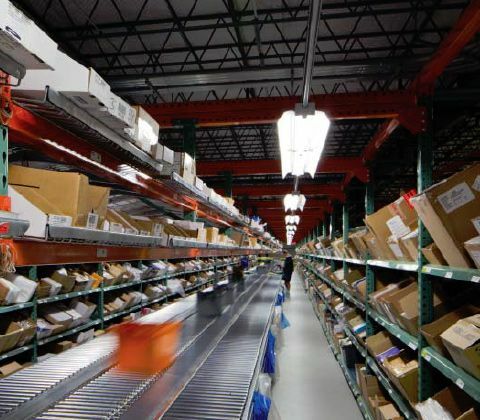 There are several benefits to using carton flow lanes for your fast moving items, while utilizing the higher portion of the uprights as selective rack for slower moving items. 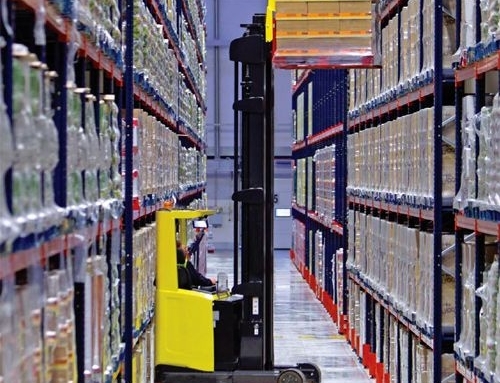 Gravity will do the work of moving the fastest moving SKUs into position to be picked. The system eliminates the need to wait for replenishment to start picking items because of the separate load and pick sides. 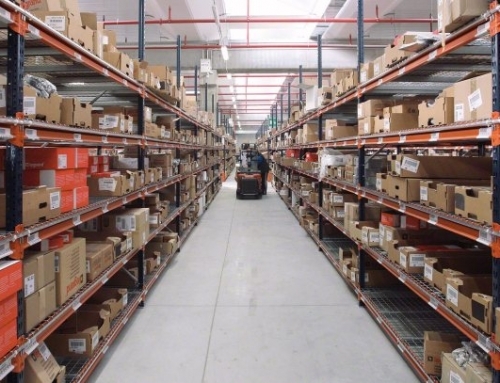 It improves the visual organization of SKUs for more accurate picks. 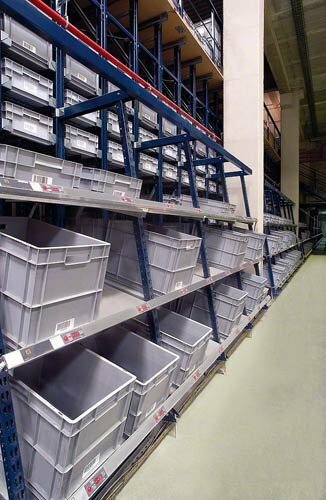 The system creates a more organized racking system, which helps reduce the time looking for product. Snap-on dividers make it easy to change the system flow to accommodate changes to your slotting process. Carton flow can improve ergonomics for pickers with the help of tilt trays and angles flow lanes. Experience has shown that this type of racking system works particularly well for faster moving SKUs and case and carton fulfillment needs. Which SKUs should you put on Carton Flow Racks? Identify the SKUs you pick most frequently by analyzing the average pick per day. This may change for your company depending upon the season, so you may want to evaluate each season individually. The products that you pick the most and constantly need to be replenished are the ideal candidates for carton flow. 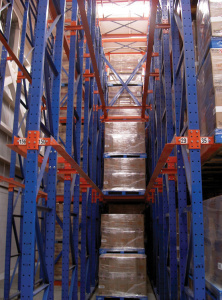 Your slowing moving products will be better suited for another racking system that you can pair with the carton flow. Be sure to analyze your order picking on a regular basis. You may find that newer items are being picked more and might be better suited for your carton flow sections. 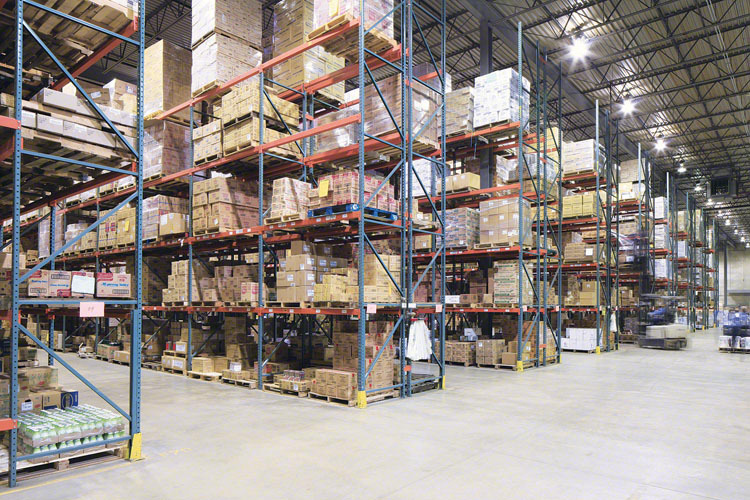 Optimizing your slotting and carton flow pallet racking can be complex. 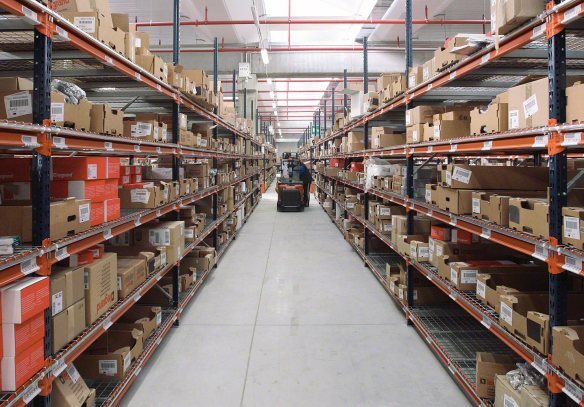 It’s a good idea to talk with an expert at Stein Service & Supply about your warehouse’s specific needs for inventory and fulfillment. That way you know that you are using your space, your racks, and your staff in the most productive and efficient way possible.